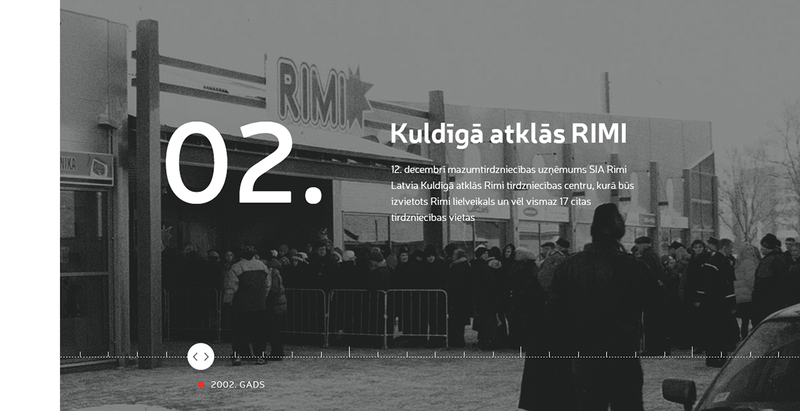 20 years ago Rimi appeared in Latvia with a futuristic vision - to create a chain of grocery shops that are close not only to our homes, but also to our hearts. Now, 20 years later, this idea came true. So it's time to celebrate and set new goals and milestones for the following 20 years. With a dedicated team of designers, visionaries, storytellers and problem solvers we have created an interactive website that tells Rimi story.